I’m barely awake at 5:30 a.m. as I get dressed in the dark and stumble over the hungry cats weaving between my legs. There’s only one thing that would get me up so early three mornings in a row: the promise of a sweaty yoga workout that’s gonna make me feel awesome the rest of the day. Oh yeah, and the promise of a free month of yoga if I complete every sunrise class this month. ‘This is How I Roll’ in awesomeness. A sweaty yogi really can’t ask for more than moisture-wicking, antibacterial, shape-hugging and ethical gear. It’s a sweet sweat and well worth the early morning fumbles. But there’s also an uncomfortable drip of negative associations with sweat: it’s smelly, pit stains are embarrassing, sweating publicly reveals our nervousness, and how about the big societal doozy, sweatshop labour? Yes, even when we switch our focus on the positives of a good sweat from an awesome workout—getting rid of toxins through our skin, leaving stress behind, feeling rejuvenated—the workout gear we’re wearing might have been made in a sweatshop where children were employed. That’s why I’ve been so jazzed to be testing out Me To We Style’s sweatshop-free yoga gear on my runs and in Power Yoga Canada’s challenging yoga classes. According to the International Labour Organization, 246 MILLION child workers between the ages of 5 and 14 are employed worldwide, and many of those are in the apparel industry. (Check out this Toronto Star article on Meem, the 9-year-old boss at a garment factory.) I’ll be blunt. This does not jive with my personal ethics, or one of the main principles of yoga,‘ahimsa’, which means to do no harm to ourselves or other living things. The three styles of pants and the super cute purple“This Is How I Roll” tank top were put through multiple sweaty workouts with twisting and pavement pounding before I washed them. Not only did they keep their shape (hello, 8% spandex), but they also managed to stay odour-free and feel lightweight after all that sweating (thanks to the 64% bamboo content, which is both moisture-wicking and slightly antibacterial). TheHarmony Tights, Manda Capris, and Lamu Straight Leg Pants are all feather-light, silky soft on the skin, and well cut for a good fit. The capris’ foldable waistband is great for a little extra height on a run (I mean, who doesn’t love pants that fall down and expose your undies in the middle of an intense sprint?). I’d also recommend the tights for wearing with a skirt, or under a tunic. Getting back to that yoga principle of ahimsa. . .where Me To We Style is miles ahead of other brands is the story behind the clothing. 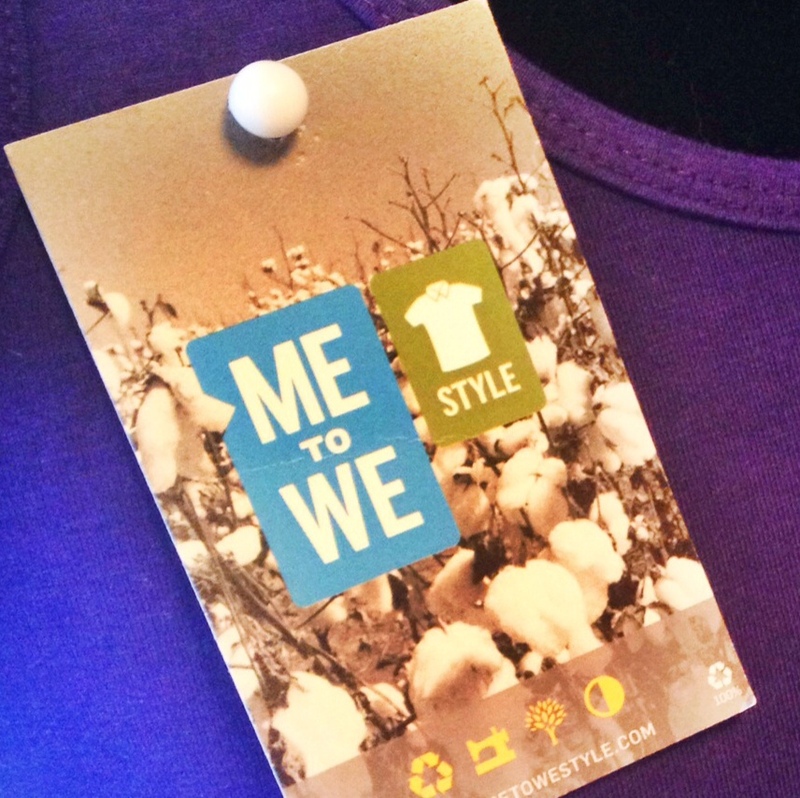 Me To We Style has four pillars that support the How and the Why of their apparel company. First, it redirects 50% of net profits back to support its charity partner, Free the Children, and its global youth empowerment initiatives. (Read more about Free the Children’s awesome work.) Second, all Me To We Style’s apparel is made with eco-friendly fabrics and processes that help to reduce impacts on the environment (e.g. bamboo, organic cotton, GOTS Certification). Third, for every tee purchased, Free the Children plants a tree to help reforest the earth. And finally, all apparel is made in ethical labour conditions, a.k.a. “sweatshop free”. It’s awesome to strike my downward dog and be in harmony with the earth and fairly paid workers in India, Turkey and Canada at the same time. Namaste, indeed! Want to get your hands on some of this spectacular gear for yourself, or wholesale for your team at school or work? Me To We Style is at the 2015 Yoga Conference and Show in Toronto on April 9 – 12! Go and find them at booth # 836/934. Can’t make it? You can shop online, and get your sweet sweat on in a few clicks with Me To We Style! 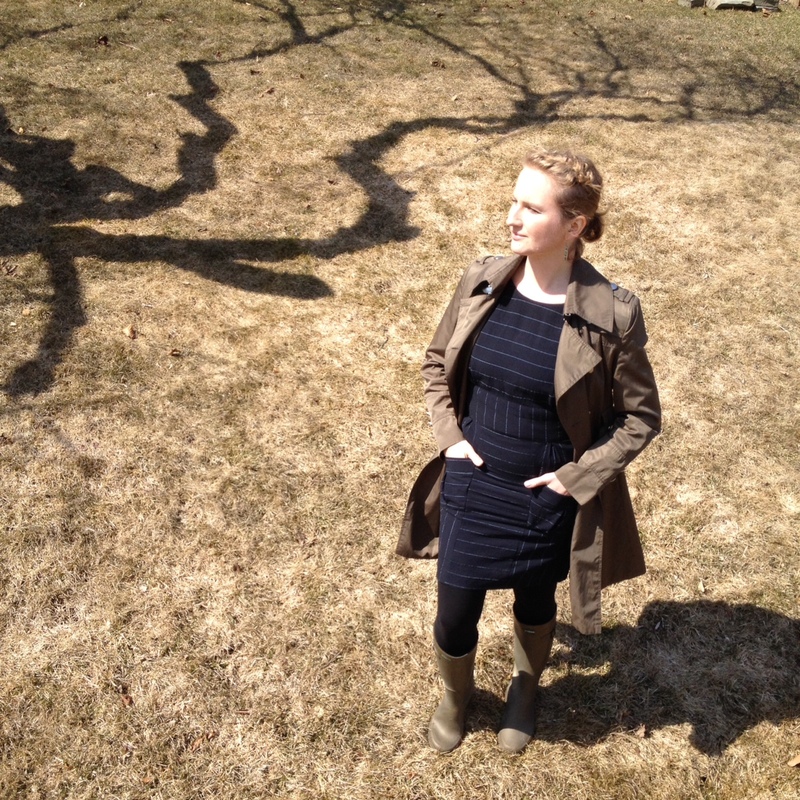 This post originally ran on: http://loveurlayers.com/2015/04/06/me-to-we-style-yoga-gear/ and has been syndicated here with permission from the author.